Howdy! As many of you may have heard, our mutual friends, the Boe and Brent families have lost some very dear family friends to a plane accident in Alaska. Because these friends are like family to them, because it's important that they be there for the ones who have survived, because it's already expensive to travel to Alaska - let alone during the Christmas season - I've started this fund to help them offset those brutal travel expenses. There is currently no airfare that I could find that's under $1000 round trip. The goal of $10,000 will allow at least four people to travel round trip to Alaska so that they can be with their loved ones during this critical period in their lives, as well as cover any other travel expenses incurred. The funds will be split evenly between the Boe and Brent families. The sooner we can help them, the better. Within a week would be ideal. May God use and multiply whatever we're able to gather for our friends. At the request of the beneficiaries, I have closed the donations. I want to thank each and every one of you for your tremendous loving response. We all know it won't bring loved ones back. But, we can enjoy the fact that God used us to help them all be together at this very critical moment in their lives. Godspeed to those who went ahead of us. We'll catch up soon. Like I always say, it's nothing a good Rapture won't fix. 3. How exactly they will be delivering the funds to the person funds were raised for. 1. Rachelle Boe is one of the recipients of the funds. The Boe family, the Brent family, and the Blom family are all very close friends. 2. Rachelle Boe is the only person who will be withdrawing the funds in her name. 3. 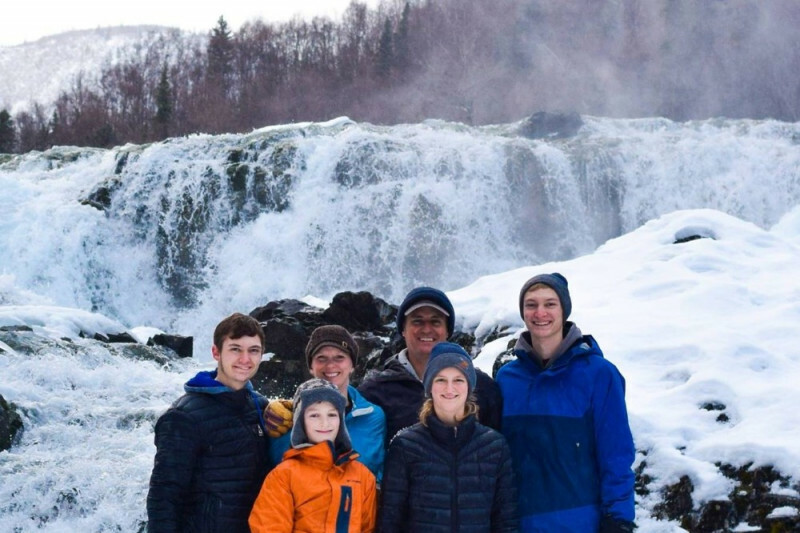 Rachelle Boe will be using the funds to pay for travel and lodging expenses for members of the Boe and Brent families while they are in Alaska ministering to the Blom family survivors. Any funds remaining after those expenses have been met will be given as a love offering to the Blom family. I apologize for the extra update. However, I understand the importance of being transparent, and why Gofundme would insist on it. A close friend of the Boe family suggested I raise the limit to $15,000, explaining that this would cover airfare and hotel for everyone from both families to go, and that any left over could be given to the Blom family as a love offering. That latter detail was a sobering thought. We have a new widow with children. As Christians, are we not charged with caring for the widows and the fatherless? So. I set it at $25,000, and we'll see what God does. I am very, very proud to be part of this community. Rachelle Boe has been formally made the beneficiary, and she will see that the funds are appropriately distributed. My heart is overflowing with gratitude for everyone who has given and share this gofundme campaign. I think the campaign was at $3,500 before I knew that it existed! My wife, Vicki, is already in Alaska with Julie. I am taking my three oldest children with me because they grew up with the Blom kids. Our kids were so close that they would tell people that we were the "Blent" family. After we met the Boe family it became the "Blots" (pronounced 'bloat' - still working on that one). Thought you all deserved to know why it is so important to me and my kids to be there for them. So glad this is really happening!